When trying to teach how to play guitar there isn’t much between the real thing and a flimsy toy guitar. The Loog guitars are the perfect choice for kids that want to learn how to play and have a capable guitar for teaching you all the basics. The companion Loog guitar app is essential in letting kids stick to improve their playing, all in a playful way. The Loog Mini is a three-string guitar (the first three strings of a regular guitar) with which you can play basic chords, notes and songs. It is made of real wood, with classical nylon strings, tuned just like your big guitar. This guitar for kids comes with a set of flashcard with chord diagrams. 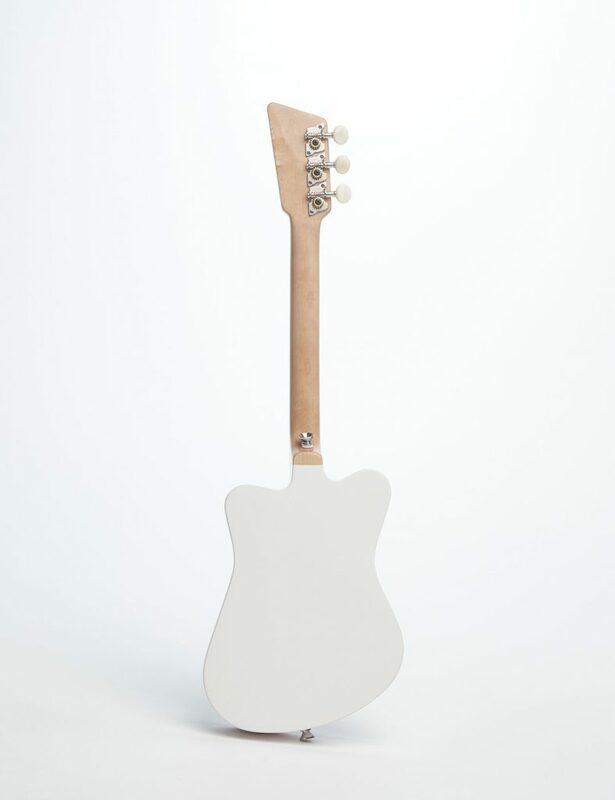 You’ll also get full access to the Loog Guitar app. The app contains video lessons, an onboard tuner and a set of popular songs you can learn to play with your three strings. 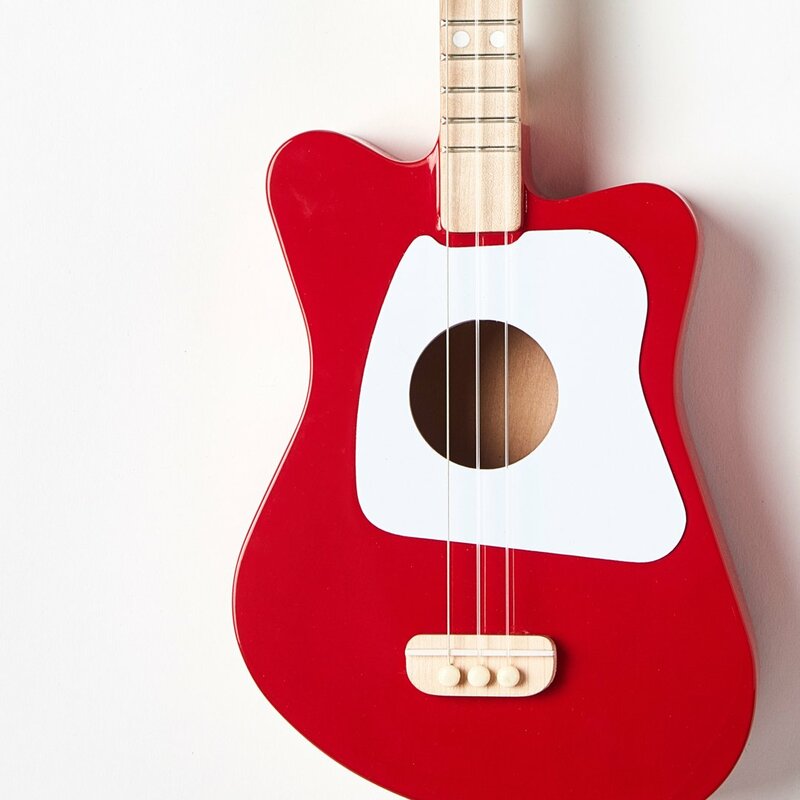 While the Loog Mini guitar looks fun and friendly to play for kids, don’t be mistaken. It’s a high grade guitar that can churn out a mean solo by anyone capable of playing guitar. 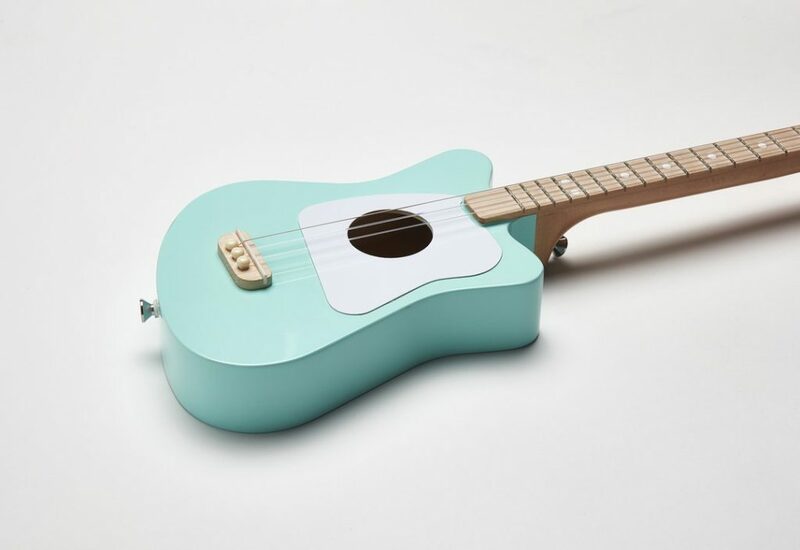 This is a good alternative to a Ukelele as the Loog is truer to a real guitar with its tuning and real guitar strings. The basic version will cost you about $79.